Vinyl siding in 2018 is not the vinyl siding of the 1960s. Vinyl siding made its way onto the home siding marketplace in the early 1960s, and as with any invention, vast technological improvements have been made by vinyl siding manufacturers since the cladding first appeared over a half century ago. Vinyl siding provides significant advantages over other siding options – it reigns supreme with respect to cost, ease of installation, maintenance and home protection. 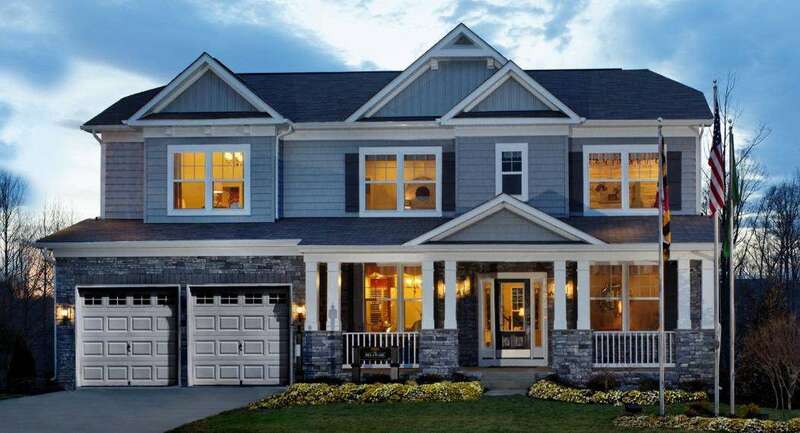 By the early 2000s, as vinyl siding manufacturers began increasing their style and color options, vinyl siding quickly became the most popular exterior cladding on the market and still ranks as the most popular choice. As a leading vinyl siding manufacturer, KP Vinyl continually pursues technology innovations to address our customers’ needs. Designers and industry experts predict that the most popular color trends for home exteriors are dark, bold colors. However, darker colors present a challenge because they absorb more of the sun’s damaging rays. KP’s research and development team developed SpectraShield™, a technology that uses thermal diffusion agents to protect vinyl siding against distortion caused by heat from the sun. Dark colors once faded or warped in the sun, but new vinyl siding is now more resistant to sun damage. KP Vinyl’s Chromalock™ technology combines premium vinyl compounds and UV inhibitors to combat the sun’s harsh rays. This unique fusion process bonds the molecules of acrylic and vinyl to create a protective acrylic layer to a vinyl base. Siding resists fading caused by the sun’s ultraviolet rays decade after decade. If you live in an area where wind damage is a potential concern for your vinyl siding, then the KP Cyclone System™ will give you peace of mind. Our innovative nail hem provides extra rigidity and resists winds up to 201 mph. Vinyl siding installation has never been easier with the KP Insta-Lock™ system. It promotes a tighter panel lock and precise horizontal alignment. With our 25-year fade-resistance protection and lifetime limited warranty, you get peace of mind knowing that your home will look beautiful for many years to come. Our Dakota™ line brings it’s impenetrable strength to four profiles. Each and every panel hangs straight and true to give any style home the distinctive look of freshly painted wood. Dakota™ comes standard with a .042″ thickness that offers exceptional strength and impact resistance. Dakota™ Plus Colors increase to a .046″ thickness that offers exceptional strength and impact resistance. Did you know that vinyl siding contributes less to global warming than other cladding options? It’s true. Vinyl siding is the most economical and ecological option on the market. Vinyl siding has come a long way since it was first introduced, and with continual advances in technology, KP Vinyl is intent on making vinyl siding choices easy for homeowners, home remodelers, and home builders. Want to see for yourself? Order a free sample today, in not one but up to three colors!